The Hollywood Film Festival's Board of Advisors has unveiledits latest line-up of honourees for the upcoming Hollywood Film Awards inOctober in Los Angeles. Red Wagon Entertainment producers Douglas Wick and LucyFisher will receive the Hollywood Producers of the Year Award, screenwriterAkiva Goldsman will collect the Hollywood Screenwriter of the Year Award, andLions Gate Films Releasing president Tom Ortenberg will receive the HollywoodLeadership Award. Harry Gregson-Williams will be honoured with the HollywoodComposer of the Year Award, and Librarian of Congress Dr James Billington willreceive the Hollywood Film Preservation Award. Wick and Fisher's upcoming releases include Memoirs Of A Geisha through Sony Pictures Entertainment, andJarhead throughUniversal. Recent credits include Bewitched, Peter Pan, and Stuart Little 2. A regular collaborator with Ron Howard, Goldsman won thescreenwriting Oscar for A Beautiful Mind, and he is currently working on The Da Vinci Code for Columbia Pictures. Previous creditsinclude Cinderella Man,I, Robot, and TheClient. Under Ortenberg's tenure, Lions Gate's more prominent releaseshave included Gods And Monsters, Affliction, Monster's Ball, Fahrenheit 9/11, Saw,and Crash. Gregson-Williams' upcoming scores include The Chronicles OfNarnia: The Lion, The Witch & The Wardrobe, and Domino. Previous credits include Kingdom OfHeaven, Shrek 2, Chicken Run, and As Good As It Gets. Dr Billington spearheaded the 1993 congressional study onthe state of American film preservation and his recommendations led to theestablishment of the National Film Preservation Foundation in 1996. The Hollywood Awards Gala Ceremony is set to take place on Oct 24at the Beverly Hilton Hotel, and the 2005 Annual Hollywood Film Festival willtake place from Oct 18 to 24. 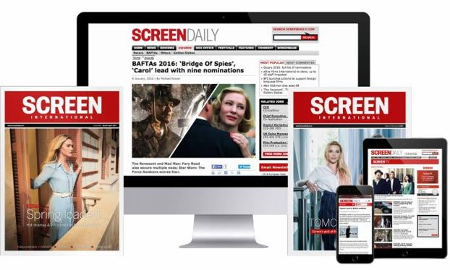 ScreenInternational issponsoring the Hollywood World Award, which honours the best international filmof the year chosen by Screen's blue-ribbon international jury.